VETERAN politician Vernon Mwaanga says, contrary to media reports that he is a spent force, he is a “statesman” and “freedom fighter” who still has a lot to offer Zambia. Mr Mwaanga says he cannot be ruled out of political contention just yet, because he has contributed a lot to Zambia. 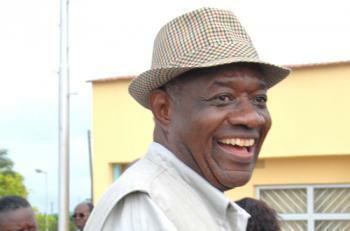 He says his contribution was so immense that President Levy Mwanawasa granted him the Grand Order of the Eagle of Zambia (GOEZ), which he says is the highest honour an individual can get from a President for extraordinary service, hence the reason he ought to be taken seriously, and not dismissed. In a letter to the Daily Mail in response to a column by this author on Wednesday, Mr Mwaanga, who has previously authored an autobiography, states that he is, “willing to serve in any capacity in the new government,” depending on whether the President wanted him to do so. Mr Mwaanga expresses disappointment that, as a former journalist himself (He is former Times of Zambia editor-in-chief), he was not contacted to verify some facts in the article about him. The article in question discounted Mr Mwaanga’s supposed come-back in a satirical manner. Mr Mwaanga says he was just answering a ‘familiar” question that is always asked every time he has been interviewed, concerning whether he could work with the new government. PF Secretary General Wynter Kabimba was quoted in the Post as saying Mr Mwaanga is unlikely to add value to any government, least of all the PF government. Mr Kabimba asked Mr Mwaanga to curve himself a private life and try surviving without government support like some retired politicians. But Mr Mwaanga, in an interview, told the Daily Mail, that he is in fact a “statesman,” a former diplomat and an author. About the standards of Zambian journalism, Mr Mwaanga signs off with a parting shot: “Crying the Beloved Country”, the title of South African author Alan Stewart Paton’s novel.